I spent most of last weekend in my truck driving, which allowed me to spend some time with the dozen or so Dylan albums I recently picked up from the public library (not that I kept them on my computer!) 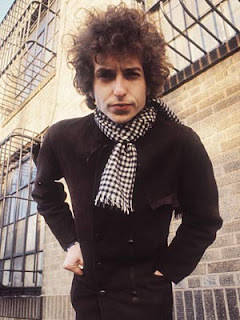 After a few hours, I created my own Dylan playlist...and I found myself coming back to this song over and over again. When I was trying to choose just one song for my top five for this month, it was essentially a tie between this and "Baby, Let Me Follow You Down." It was a narrow margin. 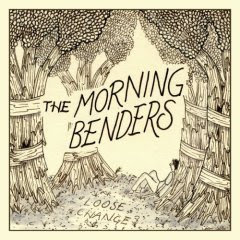 I honestly know absolutely nothing about The Morning Benders. I know that there are certain weeks that Tim bombards me with new music. Over the course of two days, I swear I listened to 10 new albums. When I was finished, I went back to give a re-listen...and the first one I looked for was The Morning Benders. 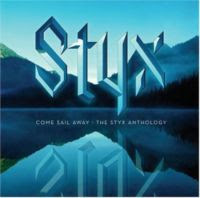 It, obviously, reminds me of The Strokes (and some other influences too, but I can't put my finger on it...) at times. I've noticed a trend with my music for March...it is mostly more upbeat music. I blame Spring. My mother introduced me to Kate Nash. Yes, thanks for asking, my mother is very cool. Regardless, not that I am a music snob, but I'm usually hesitant when someone hands me a copy of their favorite new music. Trust me, I realize this is completely contrary to my love of making mixes for people. Upon my introduction to Kate Nash, my mother showed me one of her videos on youtube. I thought she reminded me of a British Ani Difranco, but without as much anger, acoustic guitar, or growling sounds. Taking my trip to Nashville, I thought (selflessly) I'll give this album a listen. I immediately fell in love with a handful of her songs. This song, "We Get On" in particular seems to perfectly speak to the experience of liking someone, not knowing if they like you, being nervous around them, trying to run into them, but then unfortuantely seeing them "digging" someone else. 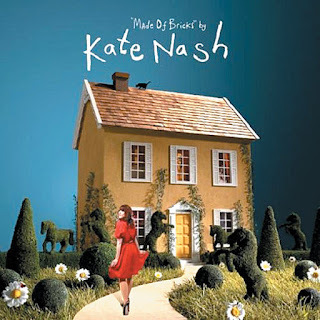 One of the other interesting things about Kate Nash is how the handful of men that I have asked about her music- do not seem to like her. I don't think it is a categorical dislike, but they just don't get it. Perhaps she seems too honest, too angry...I don't quite know. Maybe it just seems non-applicable to men. Here is a video of her song "Foundations"...see, I told you I had a hard time picking this month. I've mentioned before, but I adore when I randomly come in contact with a new musical artist. A few weeks ago, I attended a show at North Myrtle Beach's finest rock clubs, The Pirates Cove. I was planning to see a band called Magnolia Network, which are worthy of their own entry...I just don't own anything yet. Regardless, there is a lack of shows in this area and I think we've seen Magnolia Network at least 5 times in the last year. They are worth though. 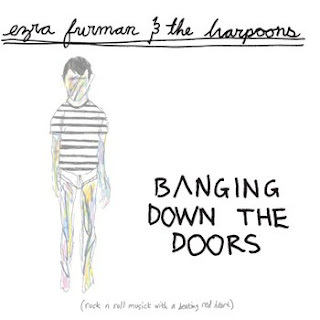 The plan for the evening of the latest show was to watch them, then leave when the second band played, who were Ezra Furman and The Harpoons. A mere 3 minutes into their set, I knew this was impossible. Tim and Jeremy (my co-conspirators for the evening) and I sat at the bar passing names of influences back and forth. Lou Reed, Bob Dylan, Violent Femmes, Conor Oberst, Jonathan Richman...the rest are foggy. It was one of those experiences where I couldn't stop my foot from tapping and wanting to just get up in dance. I was a bit afraid that the fella in the bar from 38 Special would try to dance with me, so I stayed put. In "Hotel Room in Casablanca," my heart drops when he sings "I am hiding in your bedroom, I am 17 years old..." and then later returns to sing, "I am hiding in your bedroom, I am 48 years old..." I'm not sure what it is, but something about it hits me in the gut. I almost put the song "I Wanna Be Ignored" up which can be found on the link for the band above. 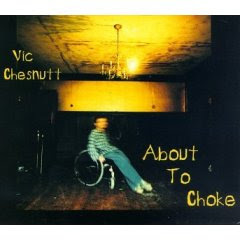 I have loved Vic Chesnutt for a long time. When I heard him belt out "Little Vacation." which was placed as the first song on an old mix tape from a friend...I knew that Chesnutt and I would be life long pals. I saw Chesnutt years ago at The Evening Muse in Charlotte. It was an incredible show. I think my eyes may have teared up a few times. I don't know what it is about this song in particular that has caught my attention, but out of the blue...it resonated. "Well I'm sorry for my lack of communication, but as I'm staring out of this 5th floor window, it seems like the least amount of communication the better...I will see you around...I'll save us both the hassle and leave and hang out all night in the familiar flourescent light of Dunkin' Donuts, Cause I ain't got time for the niceties or rather I was never fond of the niceties..."
Growing up, The Wizard of Oz was one of my favorite movies. I can remember the sheer excitement when it would come on television. And yet, I never really thought of it as a musical. The musical is a genre that isn't often appreciated, at least the modern day musical. Let me pause before I get ahead of myself. 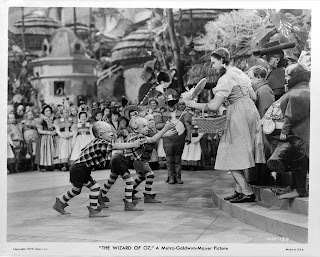 As I surveyed the AFI's 100 Years of Musicals list, which features the top musicals of American cinema. I came across many other musicals that I have enjoyed throughout the years. West Side Story, The Sound of Music, An American in Paris, Meet Me in St. Louis, Chicago, and Funny Girl. There is one musical that sticks out to me above all the rest...Singin' in the Rain. I can't remember the first time I saw this musical, but I was surprisingly at least 20 years old. I immediately fell in love with the musical, and well, Gene Kelly for that matter. The movie itself speaks very clearly about the history of cinema, specifically the move from silent movies to "talkies". When Kelly performed the title track, Singin' in the Rain, I watched with amazement. I wanted to dance along with Kelly. It wasn't until I took a tap dancing class about 5 years ago that I attempted to learn the real dance that Kelly performs (this experiment in tap dancing didn't last as long as the actual film). Regardless, I love this scene in the movie. When Kelly jumps on the lightpost, throws his arms out to the side to let the rain cascade down on his face, when he takes off into the middle of the street, kicking puddles...all of it makes me feel the emotion of "come on with the rain". All of this love for musicals would have you thinking that I watch nothing but musicals. Not true. I like the genre of the musical. I think it has to be well done. For someone who likes movies and likes music, I would assume that these two combined in this format would have a pretty good chance of pleasing me. Again, not always true. Case in point. This past weekend I watched the movie Sweeney Todd. When I hear the phrase "modern day musical", I always think...tricky, very tricky. For some reason this genre does not always apply so well to modern day movies. There is something awkward at times about watching our favorite actors belt out a tune. Now, there have been some modern day musicals I have enjoyed. I liked Chicago. Yes, the one with Queen Latifah. I also enjoyed Woody Allen's Everyone Says I Love You. Dancer in the Dark was also a fine musical. I'm not sure what the trick is to making a modern day musical successful, but it is a fine line. And I was even more sure of this after watching Sweeney Todd. I don't know exactly where it went wrong, but there was something between the plot, characters, lyrics, and music that just didn't work for me. I couldn't dig it, even though I really hoped I would. The sheer goofiness and quirkiness of the "musical" made me start thinking about other films that were nominated the same year for awards. I started thinking about if they had also been produced as a musical. Would No Country for Old Men make a fascinating musical? I do recognize that I'm leaving out one of the more recent musicals that has received critical acclaim. I haven't seen Once yet, but will update you on my opinions about the modern day musical when I have. One of the few items I bought for myself this past holiday season was a new record player. I wanted a new record player that would allow me to copy my old records into mp3 files. Not only does this make sense in not having to re-purchase the old albums, but it also means these mp3's will be heavy with the crackle of the album. Oh, how I love that crackle. I remember my one (embarrassing) attempt at making my own music. I spent months working on four songs, which layered samples of music over some original composition with my (thankfully, heavily distorted) vocals. When my "producer" and I were trying out different effects, I knew I wanted crackle. The more, the better. There is certainly something authentically nostalgic about hearing the sound of a record playing. I hear the hiss of the album about to start, then the crackle...and then the music starts. I remember this sound from listening to my first Beatles albums. Even hearing this now, I'm back there. In my childhood room. There is also something (perhaps less authentic) about the sound of an album. Even if you didn't grow up in a time when albums were still sold, you hear this sound and it takes you back somewhere else. Last night (albeit after a couple of cocktails), I found myself wanting to hear John Lennon and Yoko Ono's Double Fantasy. This album has deeper significance in that the album itself is my mother's old album. It is complete with her papers where she wrote out the lyrics to Watching the Wheels, presumably after a few cocktails of her own. Regardless, this led me to further listen to The White Album, specifically I'm So Tired, which is my self-proclaimed favorite Beatles song. Today, while out buying a birthday present today, I found my way to the local Salvation Army, hoping to find some hidden gems in their dusty albums on the bottom shelf. 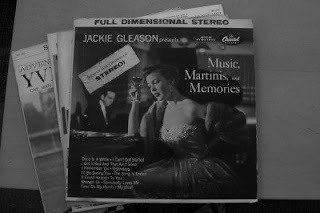 One of the albums, I discovered was Jackie Gleason's Music, Martinis, and Memories, which although enjoyable was mostly purchased for the obvious connection to my project. Bringing home my purchases and pulling the record out of the sleeve, I was excited with the prospect of a new album...but also in hearing the hiss and crackle of the album. Here are the top six songs for February. I tried to narrow down to five, but it felt impossible. 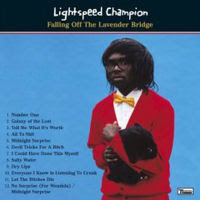 Shortly after I posted about Lightspeed Champion's ep, a full length album came out. And not surprisingly, I love it just as much. Now, if I can just convince him to play a show here in North Myrtle Beach. I particularly love the strings in this song, as well as the imagery of both having your phone checked assuming it is broken and the half a bowl of cereal. From a sociological perspective, Lightspeed Champion is interesting due to issues related to racial identity, which seem to appear in a number of his songs. I'll probably say this more times than not in my life, but I thank the world for Bob Boilen. Listening to his podcast of All Songs Considered, I had the joy of hearing a song by the band Plants and Animals. This song has the potential to be my favorite song of the year, but I don't want to get too ahead of myself in only March...but honestly, while out walking the other day and listening to this song- I was practically brought to tears. Please listen to it now. Last month, I happened upon Supertramp in my search for this particular song. I felt it was only suitable to include it in this months list. It feels like it holds particular significance for me, given the fact I'm at a place in my life where I'm about to leave the place I've lived for the past two years...and that place being the beach, certainly adds to the emotive connection to this song. For the last couple of months, I've been watching Ken Burns' documentary on Jazz. 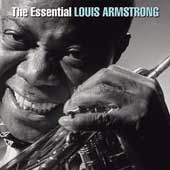 In educating myself about a genre of music that I always felt inadequately educated, I sought out this documentary (as Burns also did an excellent job of his documentary on baseball), which ensured me that I would also fall in love with jazz. I'm about half way through the documentary; however, it has not only introduced me to new musicians (Artie Shaw, Jelly Roll Morton), but renewed my love of some folks I already loved. This particular song holds additional significance because of one of the last scenes in Woody Allen's Manhattan, where he lists this song as one of the reasons for living. See clip below. 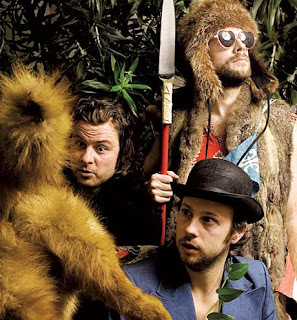 I have recently become acquainted with the music of Dr. Dog. I'm actually hoping to see them perform next week in Charleston, SC. This is the kind of song that will get stuck in your head for days upon days. 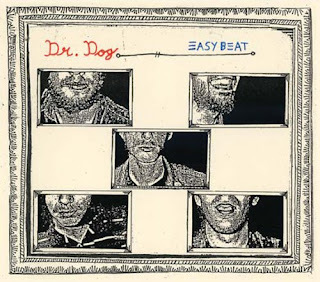 I think what really got me hooked on the music was watching a clip of Dr. Dog performing this song on Youtube. It is absolutely no surprise to those of you that know me about my adoration of Bright Eyes. 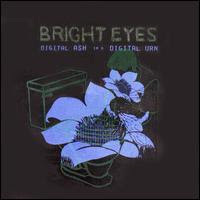 A few months ago, my mother mentioned that a single day doesn't pass without her listening to at least one Bright Eyes song a day. I realized when she said this that I doubt a day passes for me either. That being said, I find myself listening to different songs at different times. Songs that I previously passed by quickly later become significant to me. This song, Devil In The Details, was one of those songs that I've found myself listening to more in recent days. And because I probably hear it once a day, I decided I couldn't leave it off the list for February.